On Wednesday 3rd of April, I probably catched the last Fly-May-Be flight of the day on which they cancelled 32 flights. Good start. 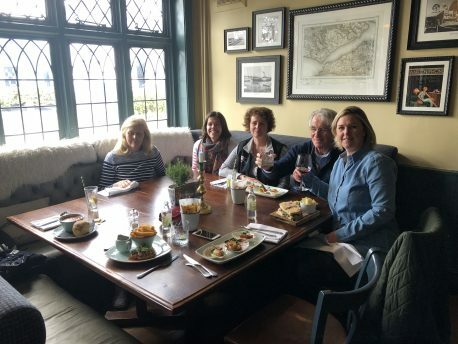 So I had my meeting and lunch with the ladies of RORC IRC Rating Office: Carol, their new comer Sally, Jenny and Emma. There was no competition of Jason, this time. 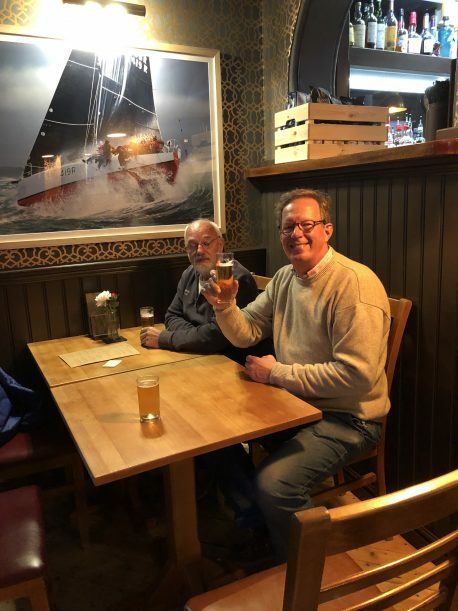 Here after I visited Tim Hare at Berthon and we discussed many points on Winsome of the last winter. The boat looked good at first look, but the next day we discovered that the mast was wrongly positioned, contrary to Leen’s instructions. The weather was extremely unpleasant, lot of rain. We had to stay another night in Lymington and finally we were able to depart Friday 5th of April. Never a dull moment since we had not only to discuss the Winsome problems but also UK’s problems called Brexit. 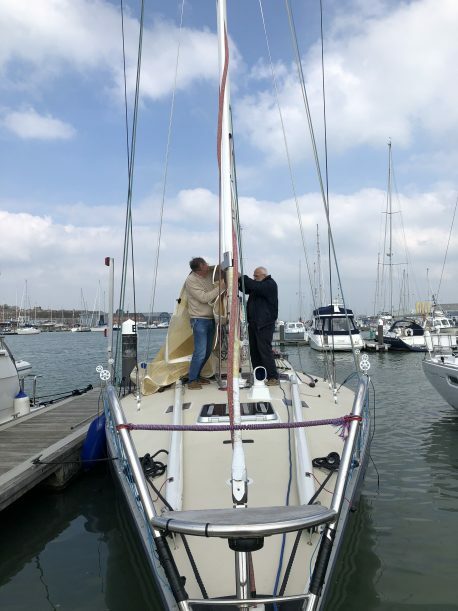 Tim and his staff have done their utmost to get us out of Berthon, but the mistake in positioning the mast did cost a full day. 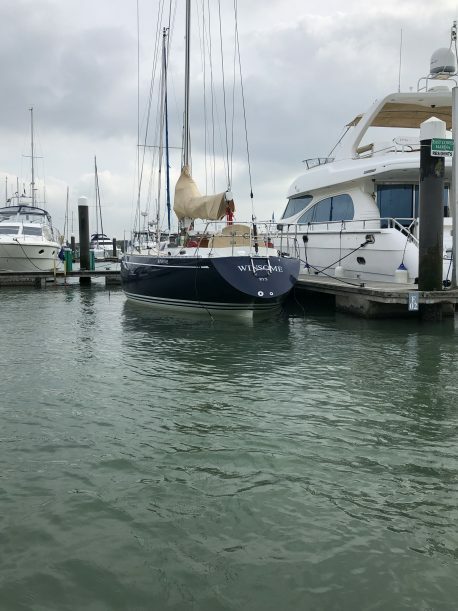 Friday afternoon Winsome arrived in East Cowes Marina and we worked hard to bring all on board and get her ready, but there was no chance to get her finished by Friday. Saturday we had better weather and we progressed very well. Still it took us nearly the entire day to finish 95% of the preparations. In the evening we inspected Peer View by having dinner there. Inside the place looks better but not the visitors around us. I could make an extremely long story of what we did, what still has to be done etc, but assume everyone understands this would bring nothing and would take me hours to type it all out. 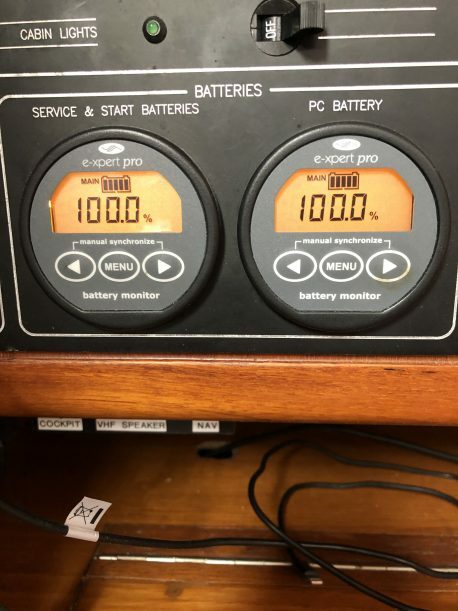 Luna is running well however no instrument is working this time. ….as long as you fixed the Brexit problems……!